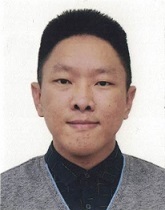 Ian Li is a Research Analyst with the Military Studies Programme (MSP) of the S. Rajaratnam School of International Studies, Nanyang Technological University. Prior to joining RSIS, he was a HR practitioner with working experience in both the public sector and IHLs. He received his BBus in International Business from the Queensland University of Technology, Australia, as well as his MSc in Asian Studies from RSIS. His honours thesis examined the impact of Asian values on the economic development of Asia while his M.Sc thesis examined the impact of U.S. involvement in Cambodia from 1965 to 1975. His research interests are in military history and cultural/religious conflicts. Li, Ian, "The Folly of US Intervention in Cambodia: What lessons from the Cold War should Washington heed? ", The Diplomat, September 18, 2018. https://thediplomat.com/2018/09/the-folly-of-us-intervention-in-cambodia/.